Ascending Butterfly: The Greatest Gifts for Grads brought to you by @BestBuy + #GreatestGrad #TwitterParty Alert! 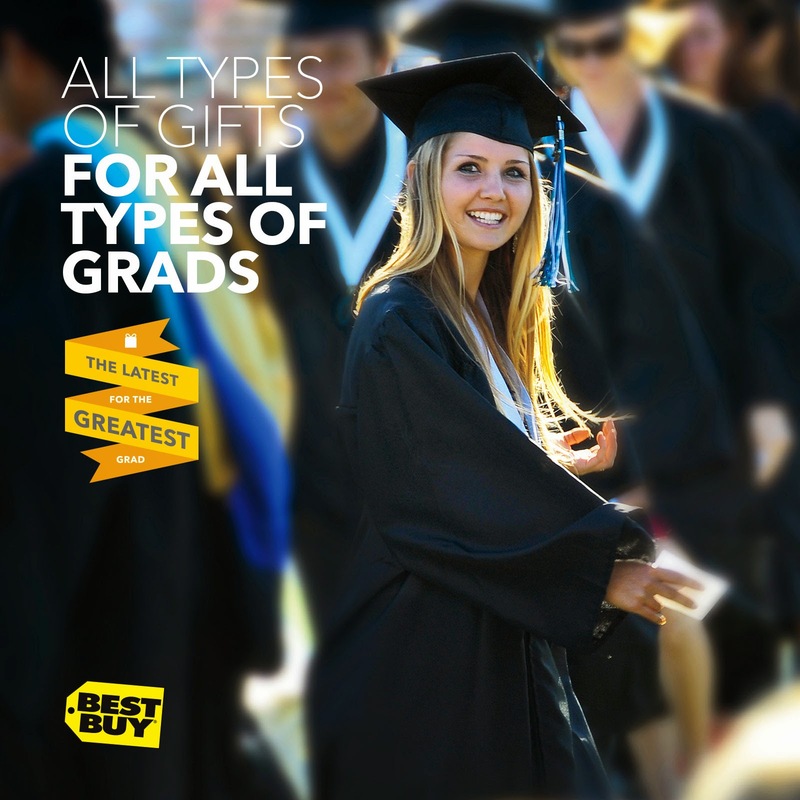 The Greatest Gifts for Grads brought to you by @BestBuy + #GreatestGrad #TwitterParty Alert! With Graduation season in full swing and everyone searching for just the perfect gift for the Graduates in their lives, I thought I'd share some tech/gadget recommendations for your upcoming Grad! Press Above to Purchase the Apple - iPhone 5s 16GB Cell Phone - Silver (Verizon Wireless) - the one pictured is for Verizon, but you can select whichever carrier you prefer! Press Above to Purchase the Lenovo - Yoga 2 2-in-1 13.3" Touch-Screen Laptop! Press Above to Purchase the SONOS - PLAY:1 Wireless Speaker for Streaming Music! Press Above to Purchase the SanDisk - Connect 32GB USB 2.0 Wireless Flash Drive! But WAIT, there's MORE! TWITTER PARTY ALERT!!! Prizes: One of (4) $25 Best Buy Gift Cards, One winner will receive the Dyson AM06 Fan (I have this fan and I LOVE it! ), One Winner will receive the Dyson DC 65 Vacuum (I have this and posted a full review on it HERE in case you missed it and want to check out my thoughts), and lastly Two Winners will win an Insignia Flex Tablet! Best buy has great stuff. Lots to choose from. @debdenny - Gotta love great selections all at a super competitive price! You can't go wrong with electronic gifts! I love Best Buy it's where I always go for my electronics. I would LOVE to have so many of the things you listed esp the google chromecast and the laptop! Awesome ideas for gifts that's for sure! @Dria S - I go through laptops like crazy as a blogger so I know just what you mean and I would like to try the Google Chromecast as well! We were just there last weekend for Father's Day shopping. These gift ideas are making me drool. @Jessica - Glad to hear you were just at a Best Buy Retail Store! Don't forget to check out their great deals online too! I pretty much buy all gifts at Best Buy now. So many great options! @Lois - That's great to hear! Definitely a ton of great options for everyone on your list! Great ideas . I've been a loyal Best Buy customer. They have really good prices and lots to choose from . I like some of these ideas for myself Lucky Grads and dads !! I can only imagine what Best Buy might have by the time my kids are graduating! Technology just changes so quickly! These fun techy gifts make me wish I was graduating, lol! Definitely all winners in my book! These are all amazing gifts ideas! We love Best Buy for all of our electronic needs too. I'd love to get the streaming media player! Surprisingly, I didn't have any graduations to go to this year. I totally agree with the tablets, they are a must. so versatile for work and play. Great graduation gift ideas for the Grads. I love all things techy and Best Buy! Great place to go and shop when you don't have a clue on what to buy someone! A Seagate is a great grad gift! what a better way to preserve the new memories waiting to be made! love Best Buy :)...many choices and great discount :)..what a list of great gifts..